I think this is brilliant and I want to unpack it. Fuki was speaking for himself, personally, but this raises an interesting question: Did Gotama’s awakening and liberation bring the cessation of moments of arising stress (dukkha, suffering, discomfort, dissatisfaction, etc.)? Many Buddhists believe enlightenment means that moments of stress no long occur; but many contemporary Buddhist teachers and practitioners (myself included) don’t hold that view. Here, I believe Fuki intended to write, “in fact, non-attachment to the arising of stress equals liberation.” But perhaps I’m wrong. I noticed to quotation from a well-known sutta had translated "dukkha" as "stress" and although i agree stress affects us from the moment we are conceived, it's not the sum total of "dukkha" in all it's forms. One of the things I'm practicing now is how to live in pain without accumulating stress, not looping it back in. Part of that is just simply accepting pain for what it is, limitations for what they are, and not creating outflows of karmic disruption as a result of pain. Adding stress to pain, disease, unhealthiness, just creates more of those things. You can't heal the physical pain this way, but you can heal what it is doing to you as far as it's influence in the Path of Liberation. Then there is also the case of fortunate souls who don't get stressed out, and everything goes very well for them. Nothing to worry about. If they live long enough, they too will find themselves mired in dukkha. It's one of the rules of being alive in the first place. But stress is real, and it's a big problem, I'm willing to talk about that, but i can't use it as a word to replace dukkha. I agree that “stress” is not a perfect translation of dukkha. When I read “stress” in this context, I think “distress”. I prefer the terms “dis-ease” or “dissatisfaction”. It’s like you said, it’s what we add to the pain of living. I think you have inverted his meaning here. Pain may be inevitable. Suffering may not be optional. Saying that suffering is optional is already a declaration that it is “something to be avoided, stopped or liberated”. Adopting a position of complete equanimity to one’s own suffering/stress is liberation. It’s very arising reveals liberation. I don't feel that any person can ever be free of pain or stress, which can be caused by diseases, not just mental states. We are only human, after all! I sometimes feel that the expectations put onto enlightenment are more than a little bonkers! Bonkers says it all Kanji. Posturing about stress and it's cessations seems to be two sides of the same coin. Stress carries a wide meaning beyond the Buddist conception whatever you call it, tho it seems a poor translation for dukka. Then, add in modern stresses, physicial, mental and environmental stresses, and there is quite a pot of soup we are trying to stir. It is simplistic to lump it all together, bonkers actually. We might say disrespectful with the dumbing down of a term like dukka. Meditation furthers, so does a healthy life style... personally, ashwagandha also furthers. On the shadow side, we could look deeper into the power dynamics and a tinge of blame. Compassion is a worthy antidote. Last edited by lindama on Sat Mar 16, 2019 2:11 pm, edited 1 time in total. I don't feel that any person can ever be free of pain or stress, ... We are only human, after all! I agree with you. 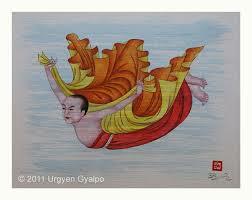 And, according to the teachings, the human realm is the only one of the six where liberation from samsara is possible. So there is dissatisfaction, suffering, stress with and without our own contributions (we are even capable of turning the path of liberation into a quagmire of confusion ... bonkers indeed). This stressfulness is in fact an energy which can be an obstacle or an ally. Its ubiquity can be seen as an insurmountable obstruction or can be accepted as the fuel of our (fearless) exploration. For students and practitioners of Zen, it is clear that the second possibility is the necessary one. I sometimes feel that the expectations put onto enlightenment are more than a little bonkers! Meditation furthers, so does a healthy life style... personally, ashwagandha also furthers. On the shadow side, we could look deeper into the power dynamics and a tinge of blame. Absolutely! ...and in sutta MN53, even the Buddha complained about his back aching! Then the Blessed One — having spent most of the night instructing, urging, rousing, & encouraging the Kapilavatthu Sakyans with a Dhamma talk — said to Ven. Ananda, "Ananda, speak to the Kapilavatthu Sakyans about the person who follows the practice for one in training. My back aches. I will rest it. I tend to think that notions about an omniscient superman were added at a later date. Love this Crystal, backache is universal! A comparative study of reports that the Buddha and his disciples journeyed to celestial realms or traversed considerable distances on earth through the power of levitation gives the impression that at an early stage these would have been envisaged as being done with a mind-made body. Probably as a result of literalism, a tendency that makes itself felt in various ways in the early Buddhist texts and which has led to a range of developments in the Buddhist traditions, at a relatively early stage this would then have led to the idea that such feats involve acts of levitation done with the physical body. According to one account of the historical Buddha’s death, he went “up” through the various Jhana states to the oblivious level where there is no pain. He then deliberately came “down” to the level where pain is felt. He chose to die feeling that pain. It is useful to think why this story is told and rembered this way and what point is being made. It sometimes seem that the Buddha’s life, the suttas and the sutras are like an inkblot (See: Rorschach test), each of us seeing what we see. And even if we see things as they actually are, we’re still only seeing what is from our personal and private (exclusive and non-shareable) viewpoint. It's not the levitation that will kill you, it's the accidental falling out of it. It isn't the fall that kills you, it is the sudden stop.